Dome Made of Paper ? Here's a cool idea. I used paper(card board) as a base material for a 7ft. 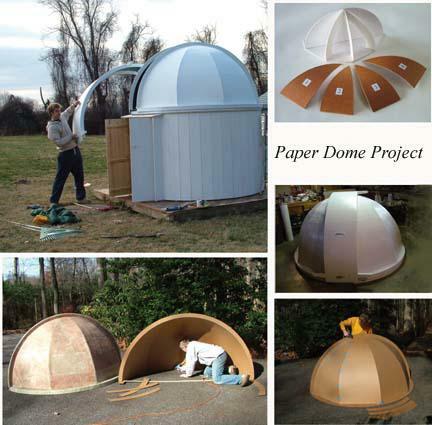 dome project.Easy to cut and glue, light weight, VERY cheap and insulating. Then coated it with fibre glass cloth and epoxy (West System) resin. Where did you get your plans for the dome, or did you design/spec everything your own self??? Wow! Great idea & it looks real good too! I'm assuming that one piece shutter door which lifts out is constructed of the same materials? How much would you estimate your completed dome to weigh? Once again, looks very nice. Oh...almost forgot the most important part of all.  Welcome to the CN forums. Hey there, it started out as a model to check smiplicity of shapes. The "Gores" are only 2 different patterns, left and right reversed. My own concept. Had just completed a boat project and got some good experience with resin/cloth fabrication. Dome weight is about 17lbs each half. Thanks! What about doing an article for CN's "How To" section, it would be a worthy addition. Very cool Greg! Looks like there should be a new acronim added along with ATM. How about AOM? Hey great idea, if you sell plans could be a lot more observatories popping up!! Welcome to CN. Nice dome, if you used corrugated cardboard, then you can substitute it by Coroplast can be cut and handled the same way but it is more durable. wow, great idea, and it looks awesome too! Interesting idea. I was thinking about using fibreglass as well, but using maisonite/hardboard underneath. How strong is this dome (e.g. snow weight, wind, etc.)? Neat idea! Hello Bob, a set of plans is a nice idea, if I did I'd have to sell them for cost of shipping only. That's the ATM way! Greg. Right now, I have wooden dome frame that I was planning to cover with maisonite and then with fibreglass. But, now I am intrigued with your idea of using card-board and fibreglass. I would be interested in any plans and detailed notes that you have. Thanks for sharing this idea with us Cloudy Nighters. will be an excellent mod for the above design, maybe no need for glassing? Greg, what a fantastic and simple idea. To the people that kindly suggested using Coroplast (corrugated plastic sheeting) and also known as Corflute here in Australia, it will have a disadvantage over the simpler corrugated cardboard. I was a fibreglass laminator for several years and had to study the properties and effects of Resins on different materials. Resin by nature will not adhere properly to plastics. By using Coroplast, the resin will in time (if not immediately) seperate from the coroplast, and therefore, the resin and Coroplast will become two seperate entities reducing strength. Whereas, corrugated cardboard has the benefit of being pourous which allows the resin to soak into the cardboard making it a permanent & integral part of the f/glass laminate, making it much stronger. Another factor is in the domes internal painting process. Coroplast is hard to get paint to stick to, whereas cardboard can be painted easily. Mainly because of the benefit from it's pourous nature being able to add to the strength, definately use the Cardboard! 3 years ago, so far no delamination of the glass epoxy skin. The flashing procedure has been used for many years for model airplane building using coroplast, try it. I'd prefer not to take the risk of delamination, as Ken has pointed out, cardboard is going to become saturated with resin regardless of whether you use Polyesther or Epoxy, becoming a permanent part of the laminate. Just to toss out an idea here; chickenwire and paper mache' (sp?) then epoxy over that. You could get compound curves (or a whale bone effect if you're not careful) and get away from the facetted look. If you like the facetted look then door skins (1/8" thin veneer plywood) would be a good choice too. They are used on stitch & glue kayak kits - a proven track record of abuse. Actually, if you seal the paper mache with water proof paint it would be weather tight. In the early 19th Century rowing shells were made with the PM technique. 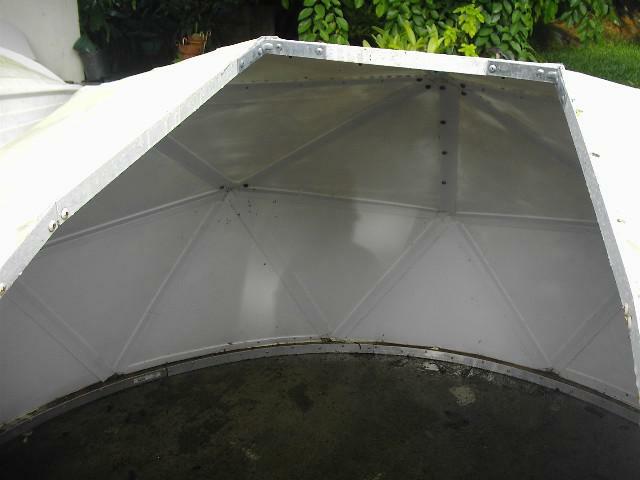 A member of the local Astronomical Society has recently completed a home dome this way, I haven't seen it in the flesh but it appears to be standing up OK.
Sealing with Polyester/Epoxy and then applying a Gel coat would make it more durable though. I've posted this before, but it also seems relavent where this thread is heading. I have a homebuilt hovercraft project that uses laminated sheets of closed-cell structural urethane foam. The sheets vary between 1/2" and 1" in thickness and have a density of 4 1/2 lbs/ft^3. It takes resin real well and is used to make cabin bulkheads in airliners. The thinner sheets are flexible. If I was settled enough to build a dome, I would assemble plywood, longitudinal frames and hot-glue these sheets between them. If I didn't like that faceted look I would double up the material in the middle of each span and sand it round (it sands real easy). A layer of matt and cloth on the outside, just cloth on the inside and it would be practically indestructible.